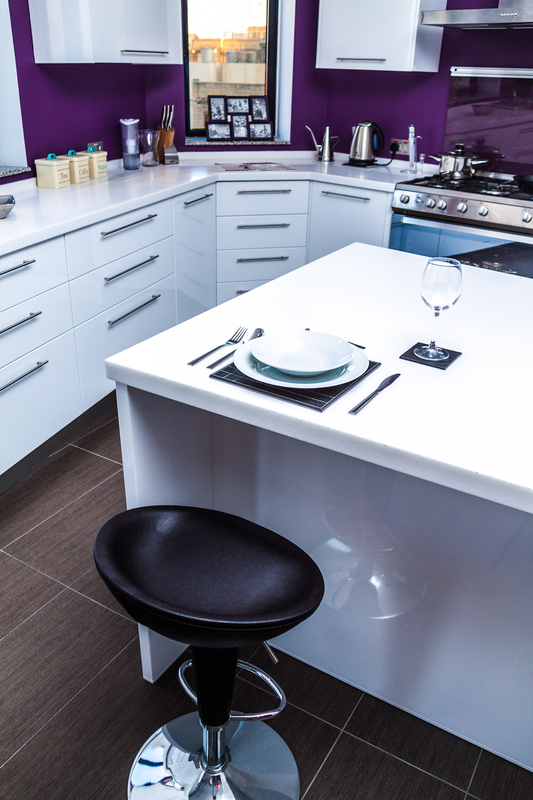 Combining contemporary design with unconventional accents makes for a modern yet warm and inviting kitchen. 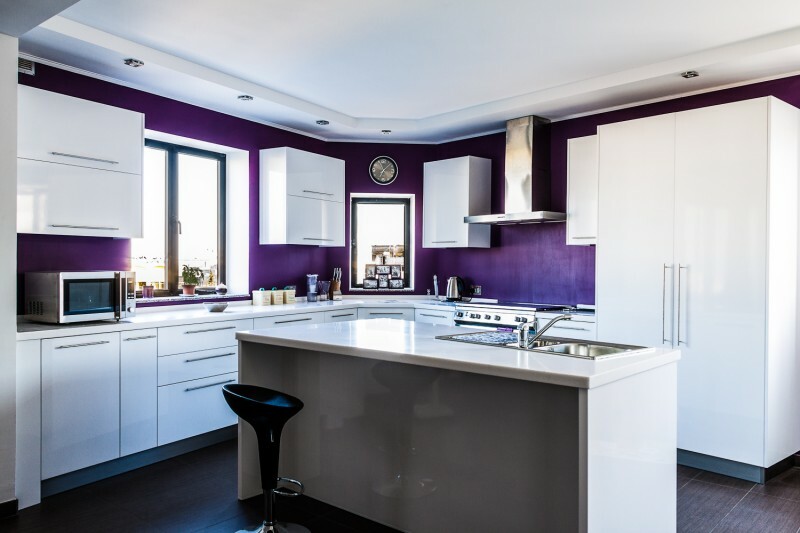 The straight lines and smooth finishes associated with modern kitchens are definitely practical and a reflection of today’s busy lifestyle. 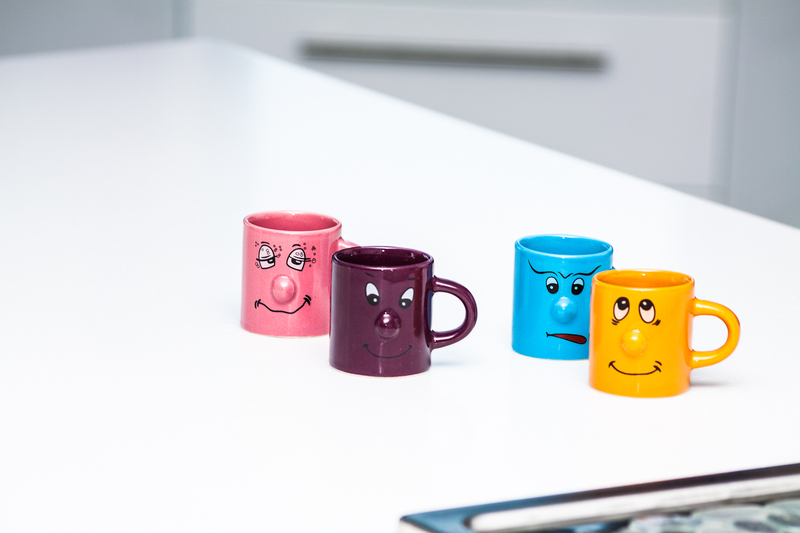 But that doesn’t mean you can’t have some fun by injecting your personality into the finer details! 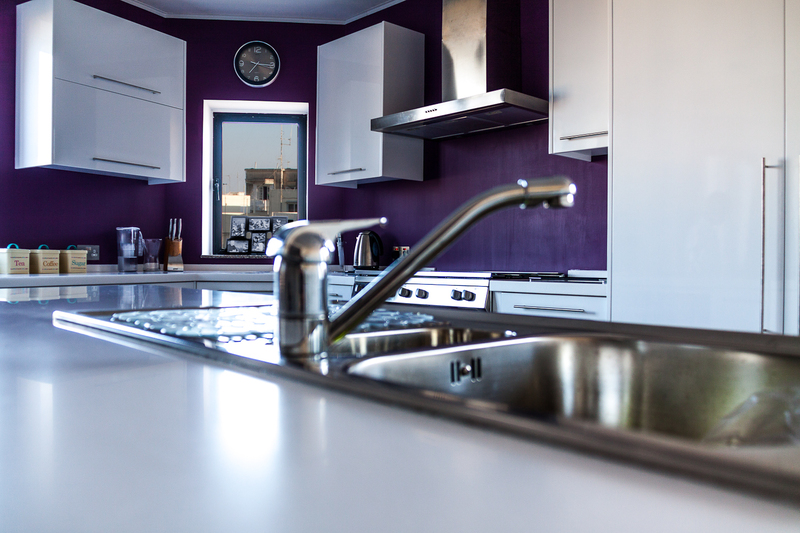 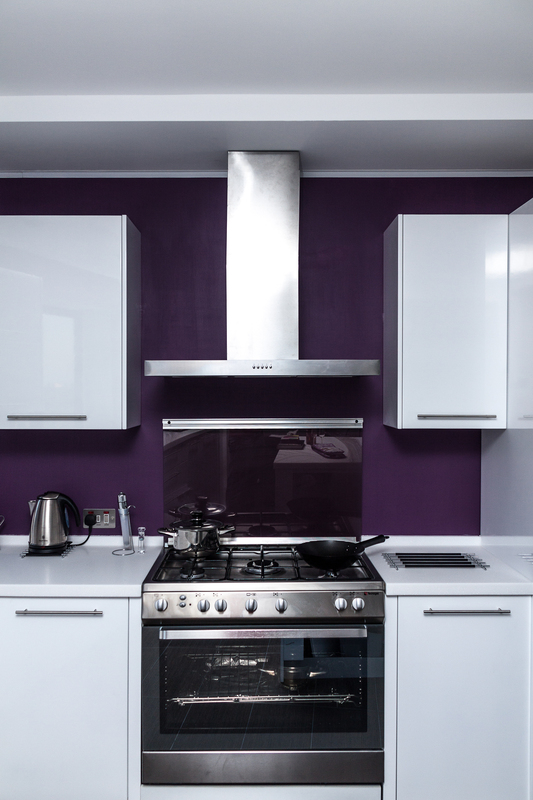 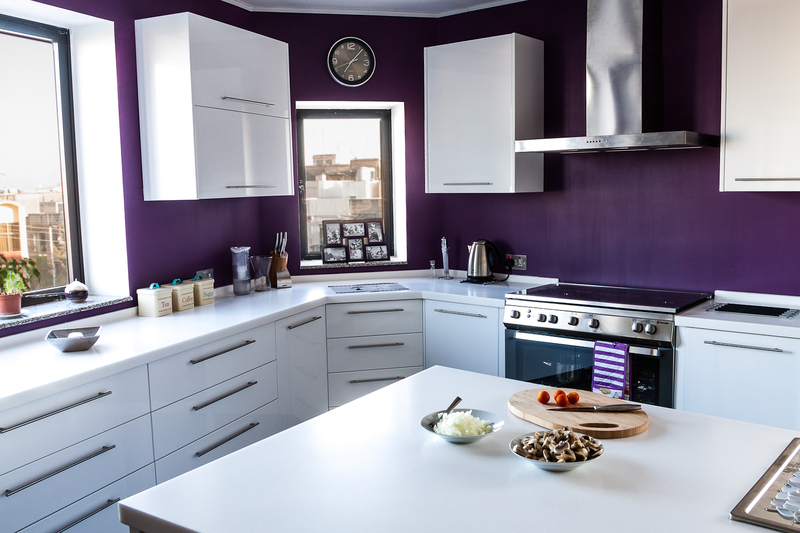 Going for a vivid purple splash-back is a far cry from the more traditional alternatives available and gives the kitchen a distinct character while making the brilliant white cabinetry pop. 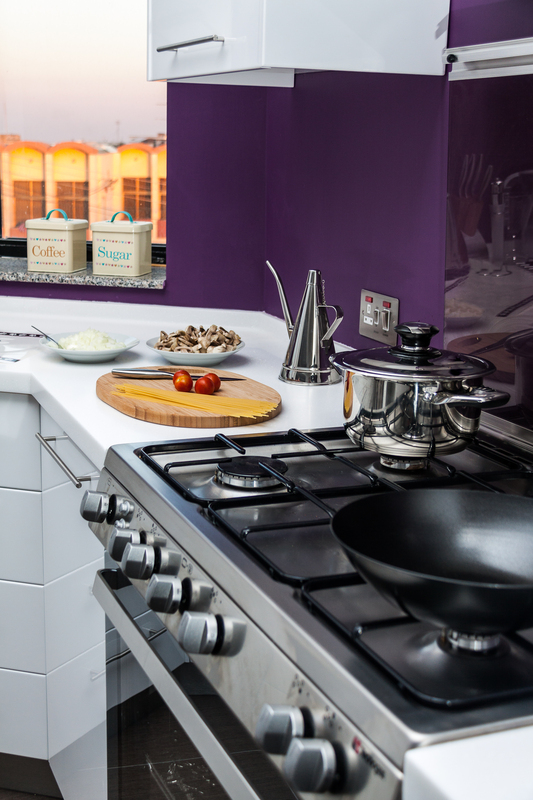 The Antarctic white worktops made from seamless 12mm Corian and simple stainless steel cabinet handles, all enhance the contemporary aura of this kitchen.